Advanced tactics raise the bar on spearphishing attacks, making them harder to spot. Researchers have uncovered a group of Wall Street-savvy hackers that has penetrated the e-mail accounts of more than 100 companies, a feat that has allowed them to obtain highly valuable plans concerning corporate acquisitions and other insider information. FIN4, as the group is known, relies on a set of extremely simple tactics that in many cases has allowed them to remain undetected since at least the middle of 2013, according to a report published Monday from security firm FireEye. Members boast a strong command of the English language and knowledge of corporate finance and Fortune 500 culture. They use that savvy to send highly targeted spearphishing e-mails that harvest login credentials for Microsoft Outlook accounts. The group then uses compromised accounts of one employee, customer, or partner to send spearphishing e-mails to other company insiders. At times, the attackers will inject a malicious message into an ongoing e-mail discussion among multiple people, furthering their chances of success. Could you please talk to him? FireEye researchers said FIN4 members have compromised the accounts of C-level executives, legal counsel, regulatory and compliance personnel, scientists, and advisors of more than 100 companies. About 80 of them are publicly traded companies, while the remaining 20 are Wall Street firms that advise corporations on legal or securities matters or possible or pending mergers and acquisitions. As a result, the group stood to make a windfall if it used the insider information to buy or sell stocks before the information became widely known. Embedded in the previously stolen documents are Visual Basic Applications (VBA) macros that prompt readers to enter the Outlook user names and passwords. The scripts then funnel the credentials to servers controlled by the attackers. 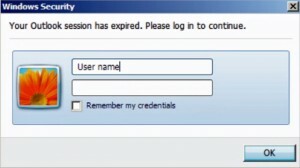 In other, earlier cases, the spearphishing e-mails contained links to fake Outlook Web App login pages that prompted visitors to enter their passwords. Some of the attacks FireEye observed targeted multiple parties inside law firms, consultancies, and corporations as they discussed particular pending business deals. In one instance, attackers used previously acquired access to e-mail accounts at an advisory firm to harvest information being exchanged about an acquisition under consideration involving one of its clients. The attackers used a compromised account belonging to the advisory firm to compromise the company, which FireEye identified only as Public Company A.